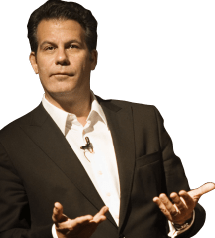 Richard Florida is the author of several global best-sellers: The Rise of the Creative Class, The Breakthrough Illusion, Beyond Mass Production, The Flight of the Creative Class, and Who’s Your City? In his latest book, The Great Reset, he explains how new ways of living and working will drive post-crash prosperity. Florida is a regular correspondent for the Atlantic Monthly and a regular columnist for The Globe and Mail. He has also written for The New York Times, The Wall Street Journal, The Washington Post, The Boston Globe, The Economist, and The Harvard Business Review. He has been featured as an expert on MSNBC, CNN, BBC, NPR and CBS, to name just a few. He has also been appointed to the Business Innovation Factory’s Research Advisory Council and recently named European Ambassador for Creativity and Innovation. Florida’s ideas on the “creative class,” commercial innovation, and regional development have been featured in major ad campaigns from BMW and Apple, and are being used globally to transform the way regions and nations do business and “reset” their economies. He is one of the world’s leading public intellectuals on economic competitiveness, demographic trends, global trends, economics, prosperity, competitiveness, and disruptive growth as well as cultural and technological innovation. Morris: For those who have not as yet read The Great Reset, what is a “Reset”? Florida: Economies and societies invariably remake themselves in the wake of a crisis. It’s a necessary component of rebound and recovery. Outmoded industries and tired consumption habits make way for new goods and services, new careers and forms of employment, and population realigns itself in the landscape. All these developments are connected to lifestyle changes. Morris: In which specific ways are economic systems “embedded within the geographic fabric” of a society? Florida: Many ways. I have always argued that the place and geography has a significant impact on economic systems. With this Great Reset, we will see an even greater emphasis on place – more specifically the rise of the mega region, which are new and incredibly powerful economic units. No longer will we focus on the city versus suburb but on how to increase our connection to our respective mega regions. Worldwide there are just 40 significant mega regions, which are home to 1/5 of the world’s population, 2/3’s of the globaleconomic output and 85% of all worldwide innovation. The rise of vast mega-regions such as the corridors stretching from Boston to New York and Washington, D.C., which will intensify our use of land and space the way that the industrial city did during the First Reset and suburbia did in the Second. Morris: Where were the most significant consequences of the First Great Reset in the 1870s? And of the Second Great Reset in the 1930s? Florida: Each of the previous two Resets were actually vibrant periods of innovation. Inventors and entrepreneurs rushed to fill the voids left by struggling industries with new ideas and new technologies that led to new forms of infrastructure like railroads, subways, and highways systems. All of that innovation powers economic growth. The First Reset saw power and communication grids and streetcar and subway systems spread across the country, speeding the movement of goods, people, and ideas. This was the era of Thomas Edison and Alexander Graham Bell, Andrew Carnegie and J.P. Morgan, after all. The Second Reset brought huge developments in media, mass-produced consumer goods, and the role of large corporations, when companies like IBM rose to prominence and when what was good for General Motors was good for the nation. It also saw the rise of a suburban, mass-consuming nation. Morris: In Chapter Thirteen, you discuss Toronto. Why do you think this city has “tremendous upside potential coming out of the current crisis”? Florida: I’m convinced that Toronto has a tremendous upside potential coming out of the current crisis. It won’t topple New York or London as a financial center, nor will it dethrone Los Angeles as the international entertainment capital, but with its large and stable banks, numerous knowledge-based industries thriving in the surrounding mega-regions, and an increasingly diverse population, it will gain ground. And with employment opportunities in the largest centers eroding, it can make a big move on top global talent. It stands as a model of an older, once heavily industrial Frostbelt city that has not only turned itself around but continues to grow and thrive. Morris: There were “winners” and “losers” following the Long Depression in the 1870s and then the Great Depression in the 1930s. Who or what will be the biggest “losers” following the recovery from the current global crisis? Florida: “Losers” is not the right description. There’s no getting around the fact that some cities face long odds, and governments and societies are going to be confronted with some hard decisions. Most importantly, cities have to recognize that in times of crisis they have to help themselves. Governments, no matter how well intentioned, can only do so much, especially when they themselves are so strapped for cash, as the U.S. is now. Government money will probably flow to cities and regions with good prospects for the future, so as not to risk money even further by pouring it into stalled economic models. We have to acknowledge that we can’t look to manufacturing or natural resources to drive growth like we have in the past. Human capital, talent, and knowledge are our most important resources now. Every city has hidden seeds of opportunity waiting to be nurtured. Places like Detroit, Cleveland, and Pittsburgh are among my favorite cities. They have great universities, clusters of innovation across a range of industries, and pools of innovative and creative talent to build on. They need to stop their penchant for mega-projects like new stadiums, convention centers, or casinos, and stop depending on federal bailouts. They need to understand that rebuilding takes a generation or two – it will not happen overnight – and that it has to come from building upon local strengths and capabilities organically. Morris: What are the basic tenets of what you characterize as “The Reset Economy”? Florida: Resets force us to remake out economies and societies; they are critical to rebound and recover. They force us to evaluate our outmoded industries and tired consumption habits. When you look to the growth and bust of the Sunbelt region in the U.S., you can see these tenants in action. The boom in housing and the influx of population generated a thriving retail and service economy, but there were no economic drivers underpinning it all. There was nothing to generate new capital, only the capital that people were bringing with them. When that bubble burst, there was nothing to fill the gap. The potential solutions in the Sunbelt aren’t much different from those in the Rust-Belt: Build on real underlying economic strengths and tap into the creative core in the existing population and its valuable human capital. Remember that three cities in Texas that are holding their own today – Dallas, Houston and Austin – were all in the top 10 on my own Creativity Index in 2002. Morris: You talk about how Resets bring changes in housing and housing systems. You say that we’ll have to move away from home ownership toward more flexible forms of housing. Please explain. Florida: Housing has always been a key to Great Resets. During the Great Depression and New Deal, the federal government created a new system of housing finance to usher in the era of suburbanization. We need an even more radical shift in housing today. Housing has consumed too much of our economic resources and distorted the economy. It has trapped people who are underwater on their mortgages or can’t sell their homes. And in doing so has left the labor market unable to flexibly adjust to new economic realities. We need to remake and reinvent our housing system so that it supports the flexibility and mobility of our economic system broadly. Home-ownership is rewarded by the federal tax code, which made great sense when that piece of the American Dream, and all the consumption that came with it, was essential to rebuilding the economy. These days, however, it feels like a huge penalty to people who want to travel light within the new mobile economy without a mortgage to hold them back. Already, new forms of short-term and long-term rental housing are popping up in some metro areas. You can take on a house or apartment for a few months or even a year or two in developments that are striving to provide critical elements of community – schools, healthcare, social and cultural institutions – even for people who are living there only temporarily. People invested in a home, mortgage, or community are less likely to move to more economically vibrant locales. That kind of entrenchment is going to be an impediment to the coming spatial fix. Morris: In Chapter Fifteen, you assert that “a new spatial fix – a new geography of working and living – will be our only oath to renewed economic growth, confidence, and prosperity.” Please explain. Florida: Many people think that technological fixes alone can propel economies forward, but real recovery requires something more – a new economic landscape for development. A spatial fix is just what it sounds like – a large-scale change in the way we use and occupy the physical space around us, the physical realignment of populations and communities, the reshaping of the economic geography of a society. The recovery from each of the two previous economic crises depended on a spatial fix, whether it was migration of population from rural farm communities to giant industrial cities like Pittsburgh or Detroit at the turn of the 20th century, or the explosive suburbanization after the Second World War. These shifts go hand-in-hand with technological innovations – transportation, communication, and production – that enable lifestyle changes such as the amount of leisure time people have and how that time is spent, and of course, consumption patterns. Morris: Why is it necessary to increase the analytical and social aspects of all jobs? How best to accomplish that? Morris: What are the most significant attributes and implications of the “new normal”? Florida: Several things will have to happen. For one thing, I think we’ll start defining wealth and success differently and develop new approaches to consumption. Things that have always signified wealth and security – home ownership, new cars, luxury goods – have become a burden for many people and will be replaced by more experiential consumption like travel and recreation, self-improvement, and so on. By divesting themselves of certain big-ticket possessions that have been keeping them tied down, people will gain a new freedom to live more meaningful lives. Changes in consumption and lifestyle are key to Great Resets. In order to spur industrial growth after the Great Depression and World War II, food became cheap and the fraction of Americans employed in agriculture decreased dramatically. This freed up both resources and labor that could be used to build the industries of the industrial age – housing, cars, appliances, and so forth. The same thing has to happen today. We need to make the core products of the industrial age – housing, cars, energy – cheaper if we want to fuel demand for the new technologies and industries of the future, from healthcare and biotechnology to new information, educational, and entertainment industries. Morris: What is the “one constant in the history of capitalistic development”? Florida: Human creativity. Every single human being is creative and maximizing that creativity is critical to happiness and economic growth. Economic growth is driven by creativity, so if we want to increase it, we have to tap into the creativity of everyone. That’s what makes me optimistic. For the first time in human history, the basic logic of our economy dictates that further economic development requires the further development and use of human creative capabilities. The great challenge of our time is to find ways to tap into every human’s creativity. Morris: You assert that high-speed rail is “the one technology on the horizon that fits the geographic scale of mega regions and can help spur more development of these regions.” How so? Florida: We are the only major developed nation that isn’t investing meaningfully in high-speed rail, and I believe we’re making a mistake. Transportation systems that are fast and efficient and environmentally clean are going to enable the formation of these new mega-regions, the heart of the spatial fix. We need to be able to accelerate the movement of people, goods, and services – the very movement of ideas, knowledge, and creativity – between our major population centers. We have to build these links. Morris: Indeed, in the final chapter of The Great Reset, you identify “some guiding principles” that can “help us move toward a more sustainable and more prosperous future.” Which of these principles (if any) is more important than the others? Richard Florida cordially invites you to check oyt the wealrth of resoyrces at his website by clicking here.